of his grandfather, tortured by Nazis. It is hard to take. And yet grippingly beautiful. As life can be. the war, and my grandmother Sophie also survived – in a hiding place. 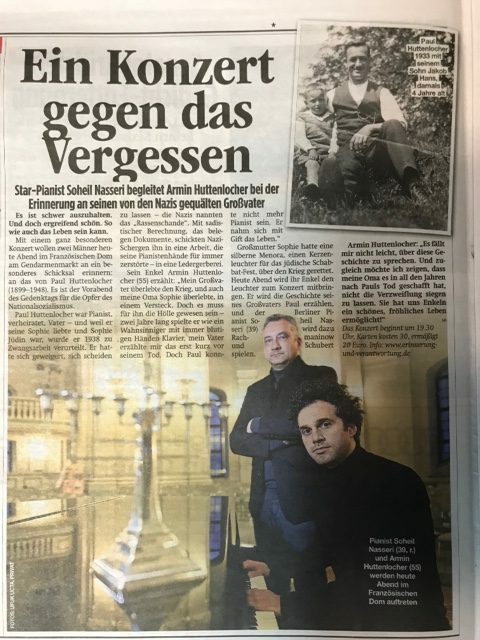 Armin Huttenlocher: “It is difficult for me to talk about this story.